What is your overall assessment of Lebanon’s economy, and the telecom and IT sector ? 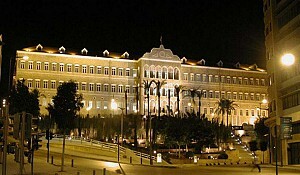 The Lebanese economy is very strong due to three factors : the prudent policies of the central bank, which has kept the Lebanese financial system immune from the problems the rest of the world has witnessed ; political stability, which has led to a record number of tourists coming into Lebanon in 2009 ; and the very robust services sector that is based in Lebanon for the rest of the Middle East. In terms of exports, the IT and telecom sector has done well. There’s tremendous human capital due to the excellent educational characteristics of Lebanese professionals, which has led to an export of talent into the region. The privatization of the two mobile phone companies could ultimately provide the capital to relieve the debt and help spur the development of the technology sector, which remain relatively underdeveloped. To what extent do you agree with privatization ? I believe that privatization is an important element in the evolution of the Lebanese State. It has to be done in a way that preserves the wealth of the Lebanese for the Lebanese, in a structured manner. The information communication technology sector is absolutely crucial ; the public sector utilizes the abilities of the private sector to obtain services that enable the public sector to provide better services for the citizens of the country. What are the market opportunities and challenges for the telecom sector ? is facing today is broadband availability." It is absolutely essential for Lebanon to have a market oriented broadband approach in order to sustain the growth of the country. There are two main challenges, or chokepoints ; the international bandwidth, and the access to the International Network. Both are controlled by the government. In order to sustain the growth, broadband access is going to be essential. The gov’t has to open up those two chokepoints. The TRA plan is to liberalize mobile broadband services. What is your perception of the regulatory environment in Lebanon ? What domains can be improved to further facilitate your operations ? The regulatory authority has the mandate to make sure that the liberalization takes place in a fair manner for all stakeholders. The TRA has some very competent people. I’m sure that when the TRA and the ministry get together and put forth a sound policy for Lebanon moving forward that will be a win win for everyone. Broadband is an essential element. It will enable us to create a network operations center in Lebanon. Better communication with the rest of the MENA region in terms of air transportation will enable better physical communication. Can you elaborate on the evolution of the activities of your company and tell us more about where it has spread in the world ? NAVLINK was started as a Systems Network integrator in 1996. We pride ourselves on the fact that we have enabled most Internet Service providers in the region. In 2000, we made the move from being a systems network integrator to a managed services provider. We provide essential infrastructural services for the telecom operators themselves as well as for the fortune 100 based out of the Middle East. We concentrate on the enterprise market, we serve them through unique partnerships that we have with the leading telcos in the MENA region ; we also have direct relationships with the major organizations and gov’t ministries. Who are your customers and what are their expectations ? Their expectations is there is zero tolerance for failure. We’re serving mission critical applications, be it serving the petroleum industry in terms of production, the healthcare industry to connect hospitals in the region with major vendors or providers in Europe or the United States... We simply cannot have links that don’t work. That’s why a we have a unique relationship with our two main shareholders, AT&T and Qtel. With these two we have the unique ingredients to serve the enterprise of both the MENA region and the international regions. What is your competitive advantage in the sector and how do you face competition ? The most competitive advantage is our people. Technology aside, the main differentiator is the people at NAVLINK ; we have dedicated people that have grown with the company. We started literally from the ground up and today we have over 100 dedicated professionals that operate network operations centers in the region and have stellar records of achievement. How are you going to market yourselves and what has been the feedback from your customers so far ? We’re building on infrastructure that we have already built in the region. We have AT&T global network nodes that we are expanding and enhancing in the region. When you extrapolate 2010 into the next three years, we have a lot of challenges ahead of us but with the strong partnerships that we have, I believe we will be up to the challenge. We welcome fair competition. We serve our customers in country with local people. The rich portfolio of services that is continually being enhanced ; all of this together is our best value proposition. Can you give us a brief overview of NAVLINK’s technologies and services for 2010-2011 and the latest strategic partnerships ? We have a unique approach to the needs of our customers. We have a Solutions Center which is staffed with experts from various fields. Our Solutions Center has the ability to digest all the new technologies and listen to what our customers require. is reaching this part of the world." We are at the forefront of that ; through our Solutions Center we can design solutions that are extremely cost effective and reliable and this is where we leverage our relationship with our partners. We have a network of Data Centers through our partnership with AT&T. In three words, what are the advantages of NAVLINK ? What is the social role of NAVLINK in the development of Lebanon ? Our customers. Our people. Our strategic partners. We believe that Lebanon has a young population, there’s tremendous talent in the universities, there are a lot of entrepreneurs, and a lot of our people throughout the organization mentor young engineers and technical talents. We are heavily engaged in the community, advising, mentoring. We welcome students and trainees into our organization. We have constant communication with them through our team, participating in fairs ; this is important because the source of our talent comes from Lebanon and we want to make sure that we communicate what we’re about and the opportunities. A lot of our employees are shareholders and the company and that’s very important for them to benefit and contribute. Do you have a final message for our readers about NAVLINK and Lebanon ? I believe Lebanon provides a unique opportunity for looking into the region. 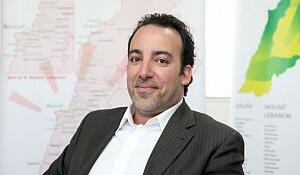 Lebanon traditionally has been very open to entrepreneurs as well as trading partners. Because of our unique culture we can act as a gateway for international companies or individuals interested in learning more about what’s going on in this part of the world. Lebanon is a pivot country in terms of understanding both Eastern and Western cultures ; we are an excellent bridge for both whether it be cultural or business. I encourage everyone to come see our beautiful country and the business opportunities there are here.